Handmade shallow porcelain bowl with grey inside. 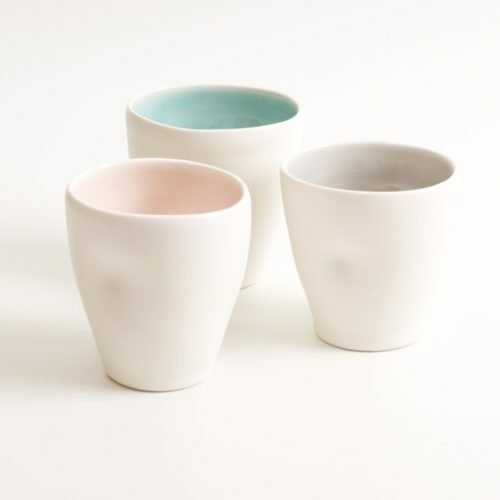 Hand-thrown with natural ridges and lush coloured inside. A lovely bowl for breakfast or soup. Beautiful on its own or as part of a mix and match set. Available in 4 colours: Pink, blue, turquoise and grey. Handmade shallow porcelain bowl with pale blue inside. 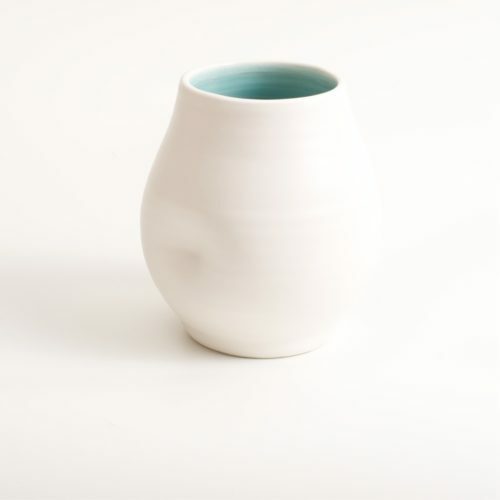 Hand-thrown with natural ridges and lush coloured inside. A lovely bowl for breakfast or soup. Beautiful on its own or as part of a mix and match set. Available in 4 colours: Pink, blue, turquoise and grey. Handmade shallow porcelain bowl with pink inside. Hand-thrown with natural ridges and lush coloured inside. A lovely bowl for breakfast or soup. Beautiful on its own or as part of a mix and match set. Available in 4 colours: Pink, blue, turquoise and grey. Handmade shallow porcelain bowl with natural ridges and a delicate colour inside. Thrown on the potter’s wheel by Linda Bloomfield in London. 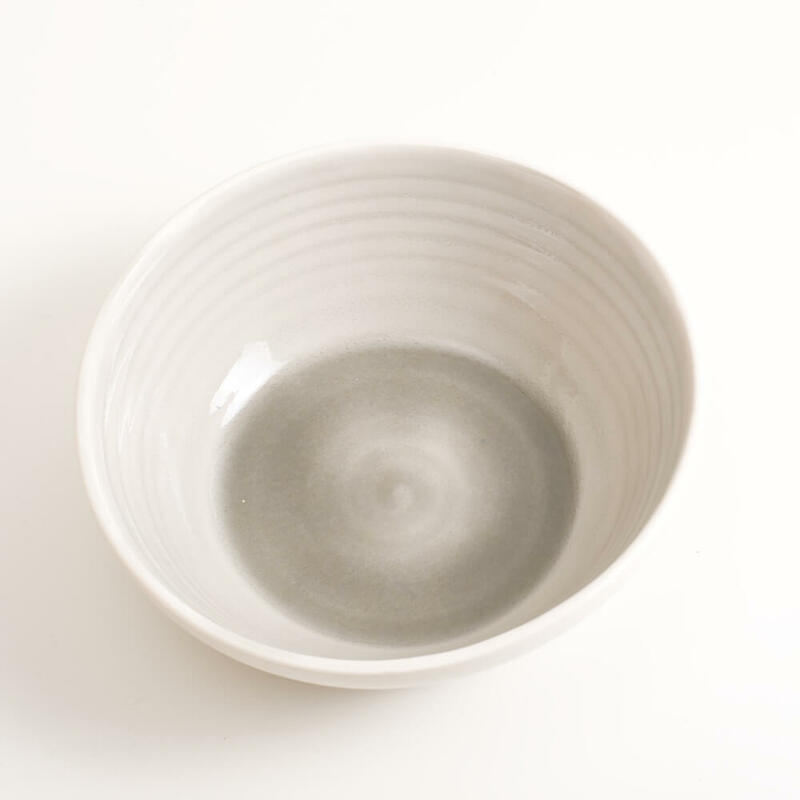 This handmade shallow bowl, perfect for breakfast or soup, is hand thrown in porcelain by Linda Bloomfield in her west London studio. She throws her products on the wheel in porcelain, using jewel coloured glazes on the inside that sometimes form a lush coloured pool at the bottom. The outside is in a tactile satin matt glaze. Linda is a former scientist, so makes her own glazes, which are all dishwasher safe. This versatile porcelain bowl is great as a soup bowl, a cereal bowl, or for salads and desserts. Available in pale blue, turquoise, grey or pale pink. If you like this shallow bowl and the colour palette, do look at the other pieces in this dinnerware and homeware collection. The collection creates a soft, unified look – see it here.